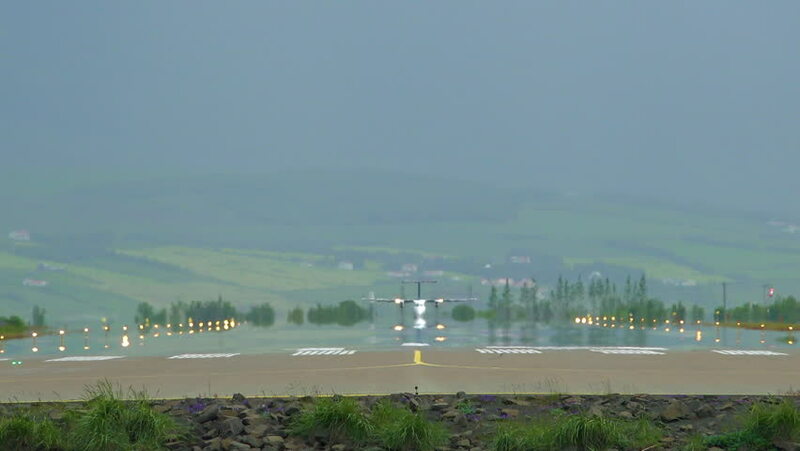 ICELAND - CIRCA 2018 - A regional commuter prop plane takes off from a runway at an airport. 4k00:12Dalat, Vietnam - Apr 5, 2018. Dalat in early morning from above view. Da Lat is located 1500 m above sea level on the Langbian Plateau.